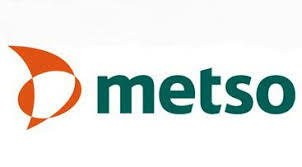 Metso’s Shareholders’ Nomination Board will propose to the next Annual General Meeting, to be held on April 25, 2019, that the Board of Directors should have eight members and that Mikael Lilius, Christer Gardell, Peter Carlsson, Lars Josefsson, Nina Kopola, Antti Mäkinen and Arja Talma should be re-elected. Mr. Kari Stadigh will be proposed as a new Board member. Ozey K. Horton, Jr. is not available for re-election after having served as Metso’s Board member since 2011. Mikael Lilius will be proposed to continue as Chair and Christer Gardell as Vice Chair of the Board. Kari Stadigh (Master of Science, Eng., Bachelor of Business Administration, born 1955, Finnish citizen) is Group CEO and President of Sampo Group, Chairman of the Board of If P&C Insurance Holding Ltd, Chairman of the Board of Mandatum Life Insurance Company Limited and Board member of Nokia Corporation and Waypoint Group Holdings SA. CV including past work experience and positions of trust is available on the company’s website www.metso.com and as an attachment to this release. All candidates have given their consent to be elected and have been assessed as being independent of the company and its significant shareholders, except for Christer Gardell and Antti Mäkinen, who have been assessed to be independent of the company and not independent of a significant shareholder. According to the Nomination Board’s proposal, the Board members are obliged, as a condition for the annual remuneration and directly based on the Annual General Meeting’s decision, to use 40% of their fixed total annual remuneration for purchasing Metso’s shares from the market at a price formed in the public trading and that the purchase should be carried out within two weeks from the publication of Metso’s Interim Review for January 1, 2019, to March 31, 2019. The Nomination Board will propose that same meeting fees as in the previous term shall be paid for Board meetings as follows: Board members that reside in the Nordic countries should be paid a meeting fee of EUR 800, members that reside in other European countries should be paid EUR 1,600 and members residing outside Europe should be paid EUR 3,200. Meeting fees will not be paid for the meetings of the Board’s committees. Metso’s Board of Directors will include these proposals into the notice of the Annual General Meeting of 2019. The Nomination Board notes that, also during the commencing term of office of the Board of Directors, a personnel representative will participate as an external expert in the meetings of the Board within the limitations imposed by the Finnish law. The new Board of Directors will invite the personnel representative as its external expert in its organizing meeting after the Annual General Meeting of 2019. Metso’s Shareholders’ Nomination Board comprises of Petter Söderström (Investment Director, Solidium Oy) as the Chair and Niko Pakalén (Partner, Cevian Capital AB), Risto Murto (President and CEO, Varma Mutual Pension Insurance Company), Mikko Mursula (Chief Investment Officer, Ilmarinen Mutual Pension Insurance Company) and Mikael Lilius, Chair of Metso’s Board of Directors as an expert member. Metso’s shareholders’ Nomination Board consists of the representatives of the four largest registered shareholders of the company based on the ownership information as of September 1 annually. As Chair of the Board of Directors, Mikael Lilius did not take part in the decision-making on the Nomination Board’s proposal related to the Chair of the Board and the remuneration payable to the members of Board of Directors.